Rudy Del Rio (left) a builder with David Weekley Homes, speaks with MacKenzie Manygoats (middle) and Joshua Willis of Arizona Pipeline Company during installation of gas and electric lines in the Verrado development in Buckeye Nov. 5, 2018. 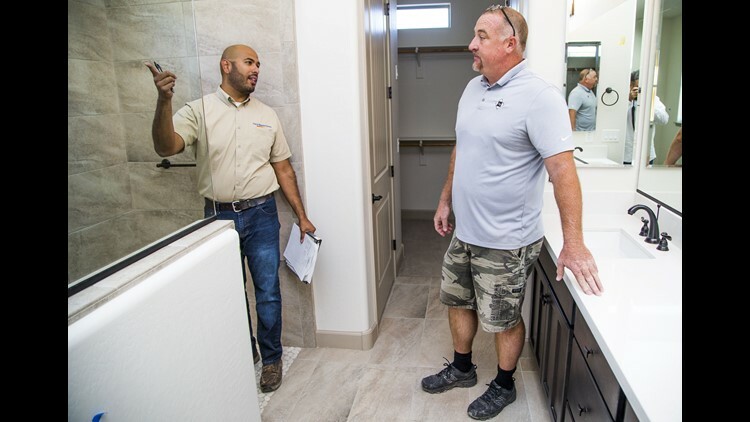 Rudy Del Rio (left) speaks with Drew Anderson of Southwest Residential Interiors inside a bathroom of a home under construction in the Verrado development. 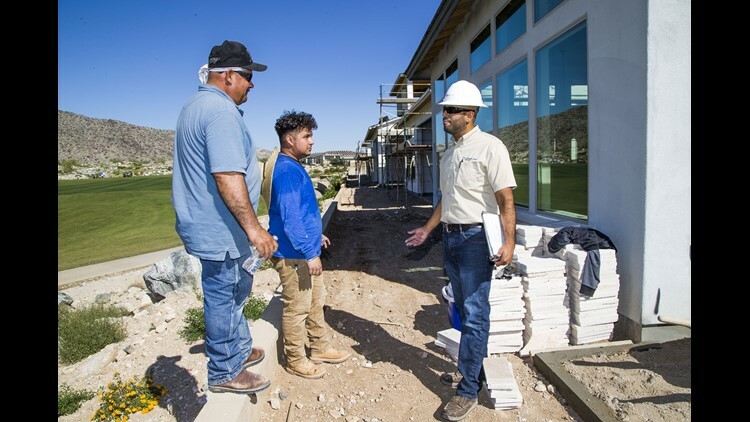 Rudy Del Rio (right) speaks with masons Ignacio Pineda (left) and Rafael Aguilar, in the backyard of a home under construction in the Verrado development. 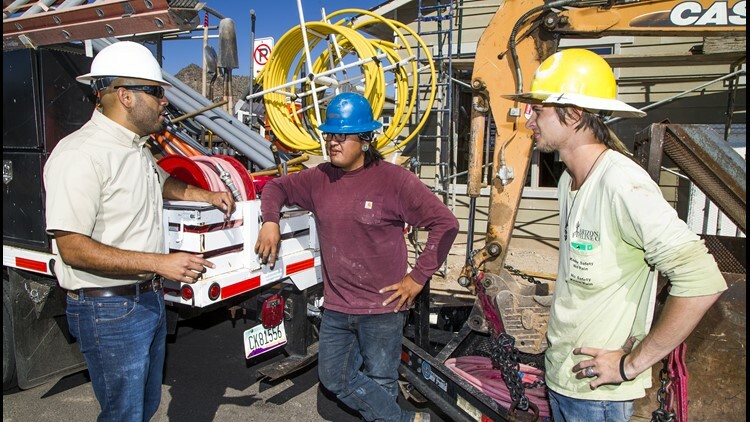 Rudy Del Rio (left), a builder with David Weekley Homes, speaks with MacKenzie Manygoats (middle) and Joshua Willis of Arizona Pipeline Company during installation of gas and electric lines.